The elements, when burned, give off flames of specific colors. 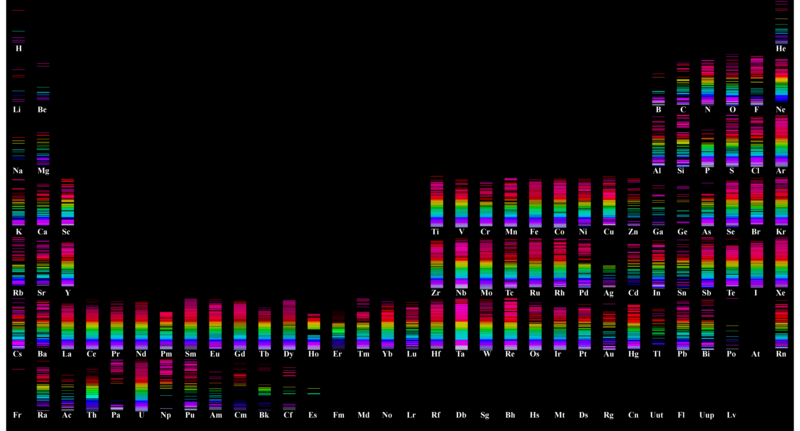 These colors can be decomposed into basic spectral bands. When astronomers examine the light emitted from celestial bodies, they can use color to determine what’s being burned there. That’s neat. I took a chart available online and raised the values using a filter so each band is artificially raised to the same saturation, or luminesence, I suppose. Anyways, this gives me a new way to look at molecules.